The Multicultural Resource Center (MRC) serves as a gathering place for the collaborative support of historically disenfranchised communities. We work on issues of diversity and inclusion within a social justice context at Oberlin College. In collaboration with a wide range of contributors including faculty, students, alumni, staff, and members of the local community, the MRC is uniquely positioned to create a vision of anti-oppression and social justice that supports educational excellence. c) culturally relevant forms of discourse. Therefore, we are committed to creating and sustaining a campus community that actively affirms the intersectional identities and lived experiences of students, faculty, and staff. Please fill out this online form to be added to MRC weekly newsletter. “Today, Attorney General Sessions announced a plan to phase out the DACA program in six months. While we assess the impact of this announcement to members of the Oberlin community, the Division of Student Life has planned support services designed to specifically meet the needs of undocumented and DACA students, including the appointment of a program coordinator who will work directly with them. We reaffirm our commitment to undocumented and DACA students at Oberlin College, in keeping with our long-standing policies on non-discrimination, privacy, and public safety. 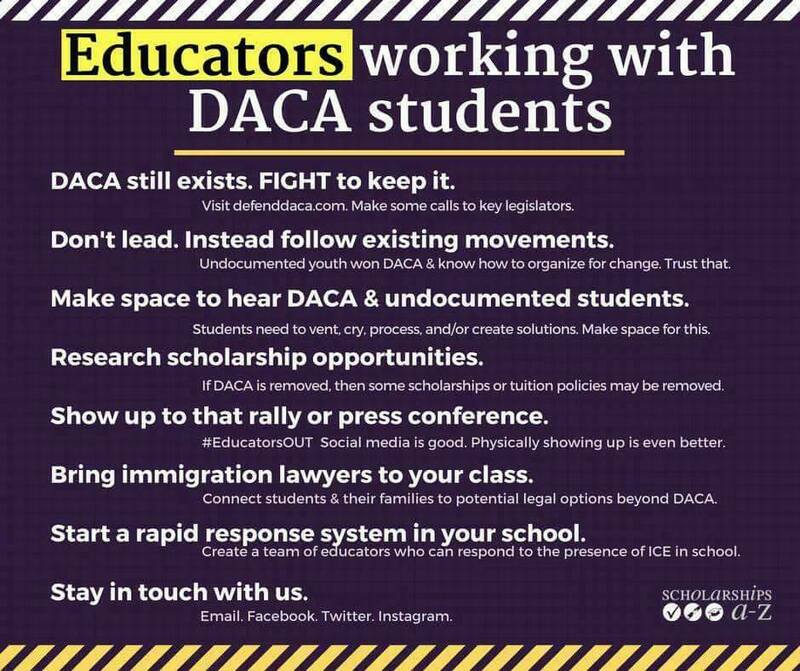 We will continue to admit, enroll, and support through degree completion all students without regard to their immigration status. Oberlin College will continue to maintain a strong commitment to the privacy of student records for all students, consistent with state and federal laws. While the college complies with federal requirements associated with managing its authorized international student and scholar programs, it otherwise does not share sensitive information such as immigration status. We do not provide information on immigration status to anyone except when required by law.’’ - President Carmen Twille Ambar’s Message on the DACA Announcement. The staff of the Oberlin College Counseling Center have completed the UndocuAlly training and are available to speak with any student who wishes to utilize them as a resource. Their statement on diversity and inclusion reflects a commitment to creating a safe, inclusive, and affirming environment that embraces the richness brought by the intersections of gender identity and expression, race, ethnicity, culture, sexual/affectional orientation, age, physical and mental abilities, religious and spiritual orientation, socioeconomic status, immigration status, as well as a host of other personal and social characteristics that comprise individual identity. Northeast Ohio immigrants and allies invite you come together in community for a candlelight vigil in support of immigrants and against heartless deportations. Dreamers will tell their stories and talk about what DACA means for their lives. All are welcome. Sponsored by #OHereToStay DreamActivist Ohio, Cleveland Jobs With Justice, Indivisible CLE, LOIRA, Ohio's Voice, InterReligious Task Force, Greater Cleveland Immigrant Support Network and Eleonor Ramirez. You also can send a text to RESIST to 50409. For more information, refer to ResistBot.